The Sultan Emir Türbesi (mausoleum). The architecture – an octagonal room under a dome – is of Classical Ottoman inspiration. It can be entered through the smaller door on the right, which gives access to a secondary room, adjacent to the sarcophagi room. 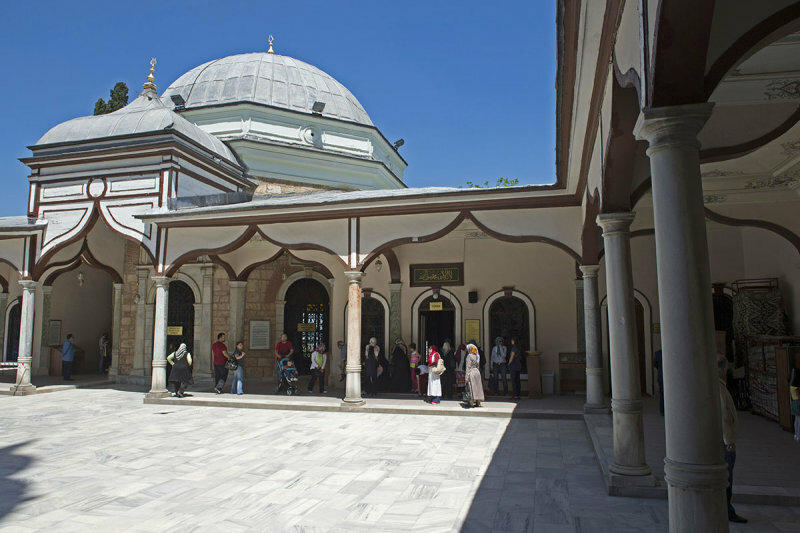 The 19th century wooden galleries running around the courtyard of the mosque were built in a late-Ottoman version of the Neo-Oriental style.